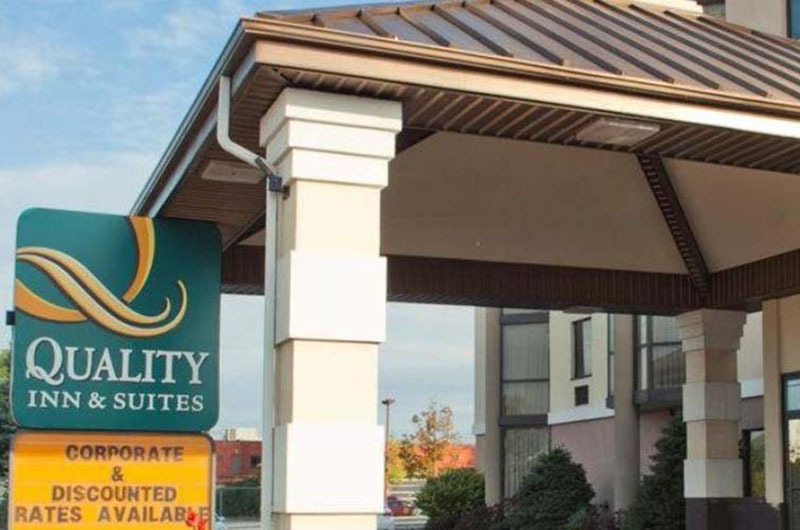 The Quality Inn & Suites Bay Front, located in the heart of downtown Sault Ste. Marie, is a beautiful seven story full-service hotel consisting of deluxe rooms and spacious suites as well as meeting facilities for 2-100 guests with on-site catering and audio-visual equipment available. We are located directly across from the Agawa Canyon Tour Train depot and Station Mall as well as steps away from the Essar Centre, the OLG Casino and other major attractions. We have a complimentary Hot Buffet Breakfast, Pool, Sauna, Whirlpool and Fitness Centre available for guests to enjoy throughout their stay as well as the very popular Gliss Steak & Seafood Restaurant and Lounge, one of Sault Ste. Marie’s premier restaurants. Welcome to the Quality Inn & Suites Bay Front where our number one priority is customer satisfaction. We have 108 deluxe rooms and suites, meeting and banquet facilities for 2 – 100 guests, indoor pool, whirlpool, sauna and fitness centre. We are home to the very popular Gliss Steak & Seafood, one of Sault Ste. Marie’s premiere restaurants. The Quality Inn & Suites Bay Front, located in the heart of downtown Sault Ste. Marie, is a beautiful seven story full-service hotel consisting of deluxe rooms and spacious suites conveniently located directly across from the Agawa Canyon Tour Train depot and station mall. We are also steps away from the Essar Centre, the OLG Casino and other major attractions. Guests of the Quality Inn & Suites Bay Front start their day enjoying our Complimentary Hot Buffet Breakfast and can spend their leisure time relaxing in our pool, sauna, whirlpool or fitness centre. Hotel guests can take advantage of our 24-Hour Business Centre complete with two computer terminals with printing capabilities. Faxing and photocopying needs will be taken care of by our friendly Front Desk staff. The Quality Inn & Suites Bay Front has four modern meeting and banquet facilities which provide the perfect atmosphere for 2 – 100 guests. In-house catering from Gliss Steak & Seafood provides delicious lunches, dinners and nutritional break options.